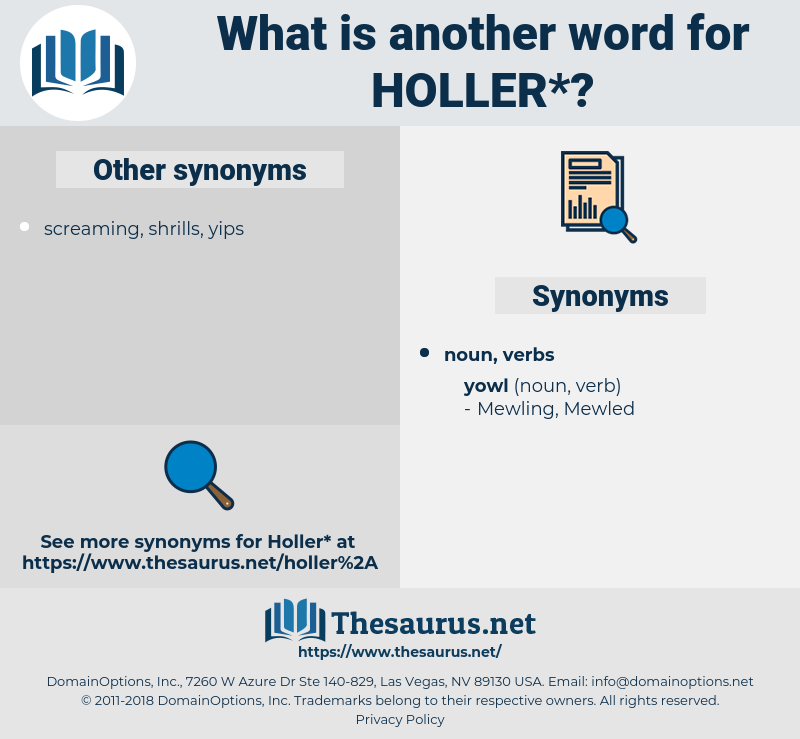 What is another word for holler? utter a sudden loud cry; " she cried with pain when the doctor inserted the needle"; " I yelled to her from the window but she couldn't hear me"
applause, commendation, plaudit, compliment, endorsement, murmur, mutter, acclaim, sanction, approval, mumble, whimper, gasp. Den w'en he see de yuther creeturs, continued Uncle Remus, he holler out, he did: - 'Vents yo' uppance, gentermens! 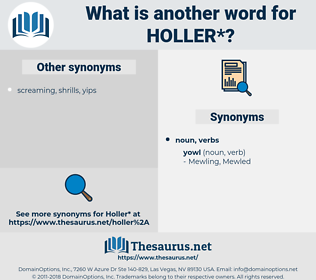 Aunt Olivia would not approve of " holler."